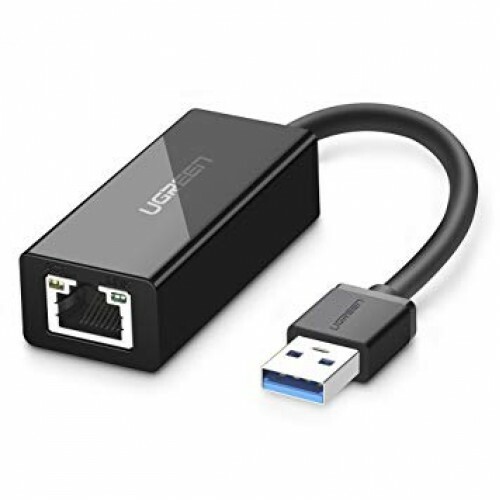 Ugreen 20258 USB3.0 to RJ45 adapter supports Gigabit networking over USB 3.0 with up to 5Gbps. IEEE 802.3, 802.3u and 802.3ab (10BASE-T, 100BASE-TX, and 1000BASE-T) compatible.USB-Powered, with no additional adapters required.Supports suspend mode and remote wakeup via link-up, magic packet, or external pin.Supports Full and Half duplex operating modes.Backwards compatible with USB 2.0 & 1.1. Hot-Swap and plug-and-play supported. Compatible with Windows XP/Vista/7/8, Mac 10.6-10.8/ Linux kernel 2.6 and later.